This retreat is epic and exclusive so register early to secure your place. 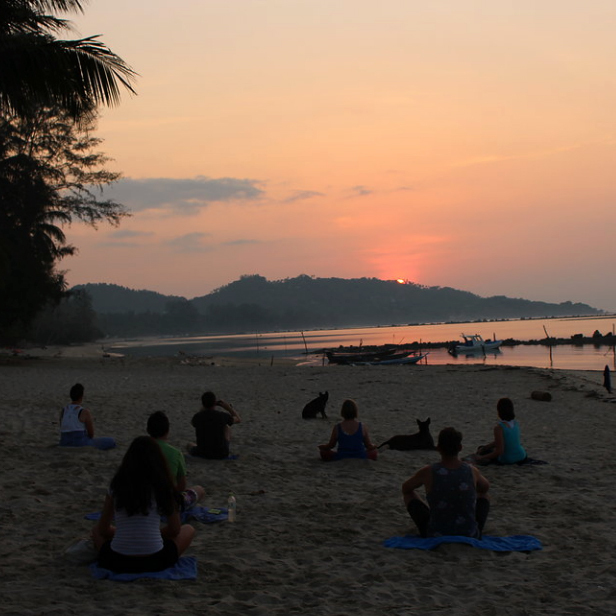 Mindfulness Based Stress Reduction Retreat, Koh Samui, Thailand. 21-27 April, 2018 . In this retreat you’ll learn and grow in your meditation and mindfulness. But you’ll also have plenty of free time in which you can relax on the breathtaking beaches of Koh Samui, letting the sound of the waves and the feel of the breeze melt your worries away. Samahita is a hidden gem on Koh Samui, tucked away from busy tourist areas and located close to the beautiful Buddhist monastery, Laem Sor Pagoda. Our resort is located on the sheltered southern coast of Koh Samui and provides a serene, supportive, and beautiful environment in which to enjoy the mindfulness program. This peaceful setting makes it the ideal place for long walks, relaxation, and self-exploration. Plus, you’ll enjoy the wonderful company of the friendly Thai people and get to spend a relaxing holiday on the beach! Get checked in and meet the other guests. Tonight we'll visit the Lamai Night Market. This colourful local market event combines delicious hawker food, fun shopping, live music and other performances. No visit to Samahita is complete without seeing the Laem Sor Pagoda. We’ll take a mindful walk along the beach to visit this local Buddhist temple. We'll take a trip this morning to hike to a beautiful remote waterfall in the jungle for a dip in the refreshing water. Today we'll take part in a boat & snorkelling trip where we'll explore the beautiful reef and swim amongst the colourful fish. 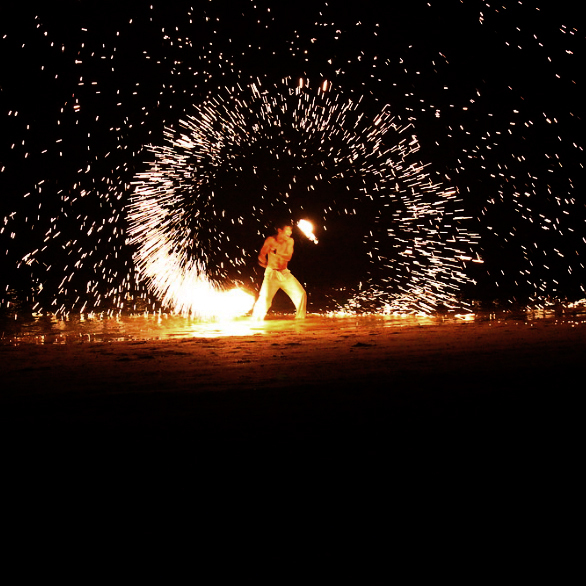 Tomight we celebrate our week together with a spectacular beach fire show followed by drinks at a private beach bar. Unwind in an herbal steam room to wring out every last drop of stress before returning home. I live in the Yarra Valley in Melbourne, Australia with my husband Pete and our 3 kids, Bella, Charli, and Billy. I can’t wait to see you in Koh Samui! Secure your place with a $400 deposit via the event registration form below. You will then receive an invoice with the balance is due one week later. Secure your place with a $400 deposit via the event registration form below. 50% of the balance is due two weeks later with the remainder of the balance due by 31st March 2018. Flights: The retreat is held on the beautiful island of Koh Samui, Thailand. You will need to organise your flights to Koh Samui and transfers to Samahita Retreat can be organised through Samahita directly. + What's the weather like in April? Its hot! You’ll love the pool and ocean temperatures at this time of year–they are just about bath temperature. All rooms are air-conditioned for your comfort. + Can I smoke or have alcoholic beverages in my room? Not in your room. Samahita is a place of health and well-being. We are a smoke- and alcohol-free place. However, this is a holiday--and there are plenty of places on the island to indulge. + Is there internet service? Can I bring my laptop? Yes, we have Wi-Fi throughout the property. We also have a few computers for you to use if you don't want to bring your laptop.